Wow guys. I haven’t worked on a furniture project for awhile much less “collected” items from the curb. Trust me, I have SEEN a ton but not been able to grad anything as I vowed at Christmas to not hoard pick up any more items until our home is SOLD. I am having CURB ALERT! withdrawals! Thanks for hanging in there with me and for all of your encouragement on prepping our home for the market. I have been obsessed with it lately. In the midst of all of this we are still living life. One of those life events recently was my 13 year old daughter’s birthday. She wanted a slumber party…Yes dear, I would love to stay up all night and listen to 8 screaming and chatty girls all night – not. Of course I agreed though because they are a great group of girls…and you only turn 13 once, right? My daughter wanted a movie themed party and so we tossed around some ideas. 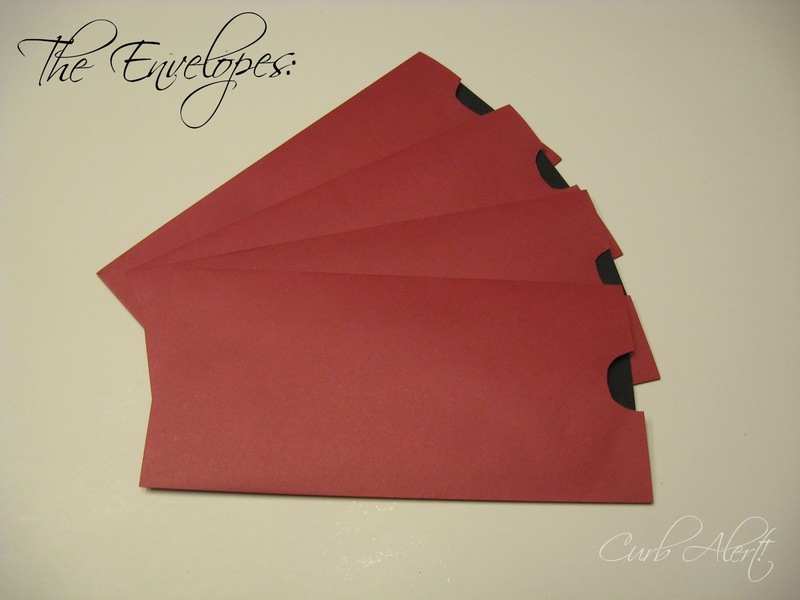 We saw the above invitation idea on Google and decided to make our own DIY version. Of course we only needed a few but I am sure we can easily use the rest. I am going to share with you briefly how she made them, yep my daughter made them herself and did a great job! I directed her to Picmonkey and she had a blast with all of the editing tools and ideas. If you have never used Picmonkey you should give it a try. It’s easy to use, it’s fun and it’s free! Anyway, I told you it would be brief. Only two pictures to go. She cut a tab in the envelopes so that her friends could pull the movie tickets out from the side. The invitations were a big hit and so was the party! P.S. Did you happen to notice my new blog header? I am constantly changing it up a bit. I also did that in PicMonkey – so much fun! Don’t miss a thing, are you following yet? 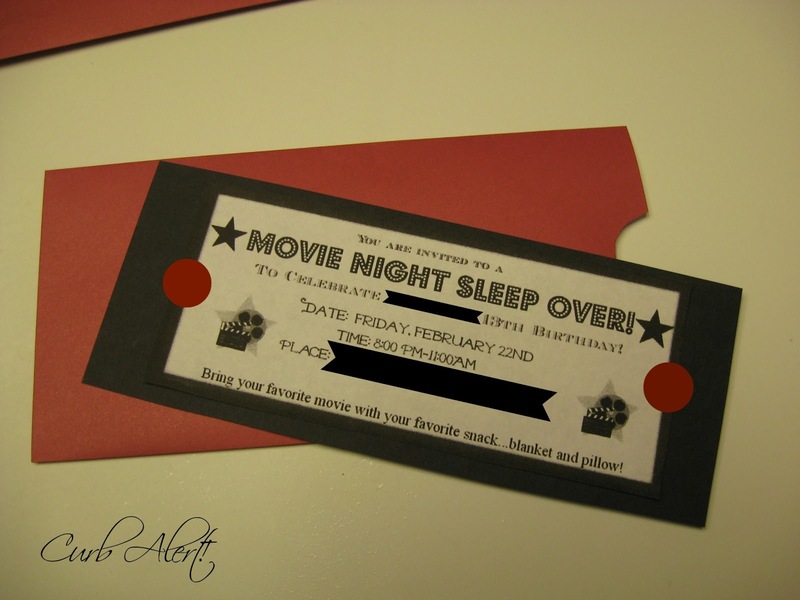 These invitations are adorable and I am glad the party went well. You must be going nuts with not being able to pick up items for new projects. I am on a self-imposed restriction not to bring home stuff to re-do until I am finished with my husbands office chair. It will be my first re-upholstering project and I am a bit intimidated by it so I keep pushing it to the back burner. I love this! 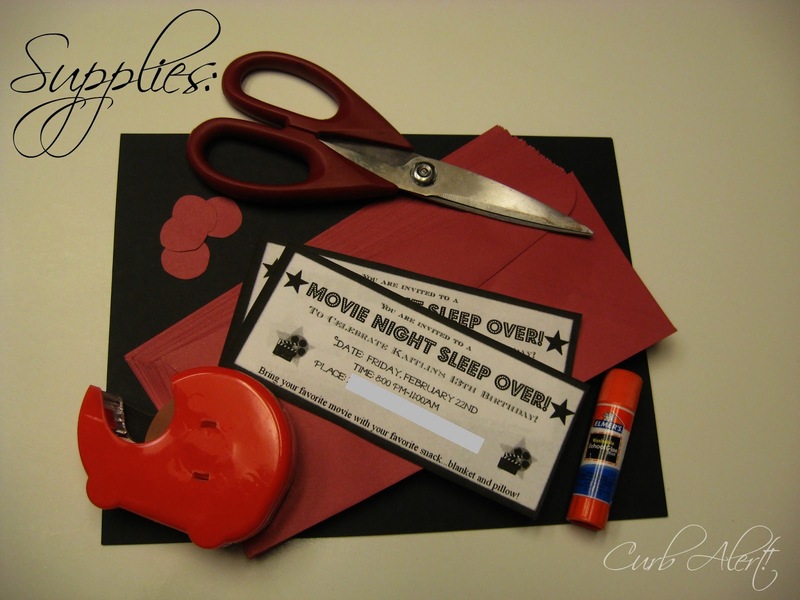 I started a movie night board on pinterest and am adding this fantastic invite! Thanks for sharing! love the ticket and envelope it comes in what a neat idea, glad the party went well!! I can only imagine the DTs your having, hopefully your house sells quick and your back to creating !!! I love your new blog header … best one yet!! Just found your blog about a month ago and I am really enjoying all of the creative makeovers! How's it going girl! I am a dressing slather-er as well. Give me some blue cheese. Yummy! The blog looks so great. I am just stopping by to say hello. 🙂 I know you are busy! Let's do a button sway until we can work on other stuff, okay? With invites like those, I had no doubt that the party was a hit. Where were you and your daughter when I wanted to host a movie slumber party at 13? LOL! All jokes aside, she did a great job! I love how you're getting her into crafts and letting her be creative. Thanks for sharing, Tami!